Hi all- Hope you've been enjoying your summer! At the studio we just finished an intensive two week fiber arts program with Mihoko from Saori Worcester. Lots of weaving, felting, spinning and sewing fun was had by all! Thank you Mihoko <3. 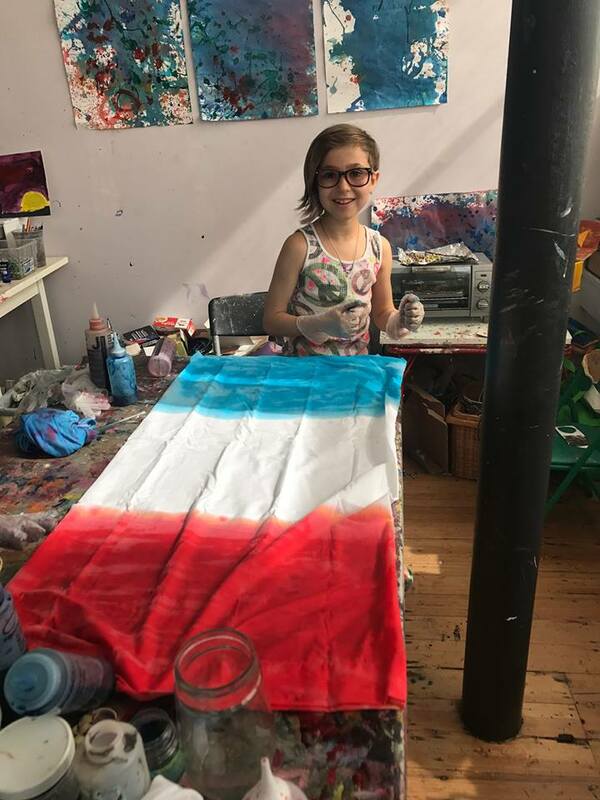 We are now heading into our classic "Summer Fun" weeks with tie dye in the park, keeping sketchbooks, canvas painting and all sorts of sculpture. We are also planning great Fall programming. Here's a quick list of what's in the works. If you'd like to be on our list for details please email artwithamystudio@gmail.com. 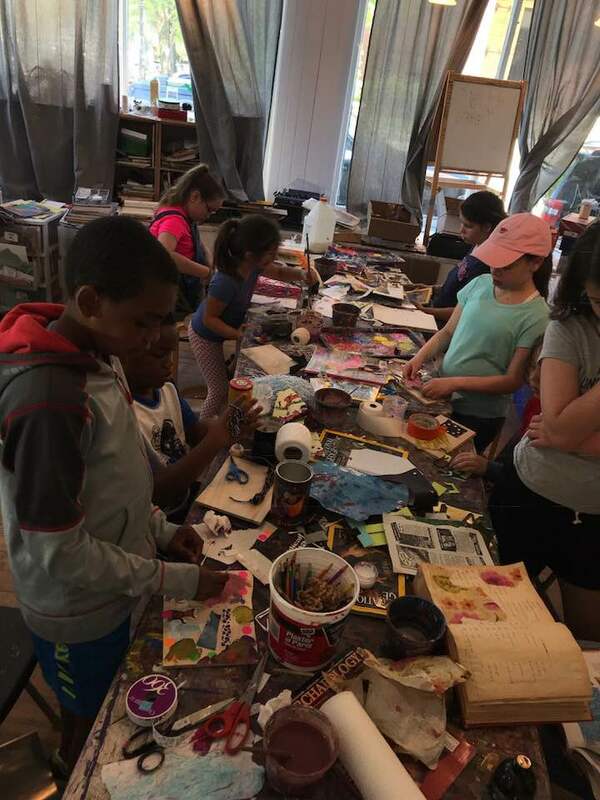 After school art M-F , Brookline half days, Mornings with Karly- our exciting new morning classes for ages 5-7, parent/child art returns Friday mornings, Wednesday night open workshop, movie night, kids night out returning and lots more!